With the further push of the Belt and Road Initiative, more and more powerful Chinese private enterprises follow the national call to engage in the construction and building of countries and regions alongside. On January 18th, the Fortune Global 500 China Pacific Construction Group (CPCG) signed a 30-billion-yuan strategic cooperative agreement with Xi’an economic and technological development zone. The Silk Road international headquarter and North-west Construction of CPCG unveiling ceremony was held. The Secretary of Party Working Committee of Xi’an economic and technological development zone, Wang Lin and the Chairman of the Board of CPCG, Yan Hao witnessed the signing and unveiled the nameplate. As a private enterprise with infrastructure investment, construction and management as its core industry, CPCG has been continuously selected as Fortune Global 500 Company for 5 years and ranks top 100 in 3 consecutive years. The group closely follow the pace of national development with a spirit of craftsmanship. In 2016, CPCG relocated to Xinjiang and involved in the core area of the Silk Road Economic Belt. Over 400 billion yuan of investment and cooperative agreement were signed with Xinjiang. In 2017, CPCG signed a 450-billion-yuan investment agreement with the government of Guangxi Zhuang Autonomous Region to boost it as a hub for 21st Century Maritime Silk Road. 21st Century Maritime Silk Road HQ was established in Nanning to radiate 10 ASEAN countries. As the constant push of the Belt and Road Initiative, Shaanxi has become the core strategic market and key investment area. On January 23rd 2018, CPCG signed hundreds of billions of investment strategic cooperative framework agreement with Xi’an Municipal Government. Later, Yan Hao was designated to be the government economic consoler of Xi’an government. Thereafter, Shaanxi has become another pivot for CPCG to engage in the Belt and Road Initiative. After the signing of agreement, the two sides respond quickly and establish the special team for further connection. On May 10th 2018, Xi’an held special working team conference to arrange and deploy the projects invested by CPCG. On June 3rd 2018, CPCG Shaanxi Market Promotion Conference was held in Xi’an. Government leaders and officials attended the conference and proposed concrete opinions for government-business cooperation. In the following day, 2018 Shaanxi-CPCG Key Cooperative Projects Connection Conference was held. CPCG conducted intensive connection and conversation in over 170-billion-yuan cooperative projects with Shaanxi Commerce Department and Investment Promotion Bureau of 10 cities and 1 district in Shaanxi Province. On July 11th 2018, the Silk Road international headquarter and North-west Construction of CPCG settled in Xi’an economic and technological development zone. On October 8th, CPCG Xi’an HQ was put into operation. On November 29th 2018, main leaders and officials of Xi’an Municipal Party Committee convened the Xi’an & CPCG Symposium and pushed the cooperation personally. They proposed “pay attention to infrastructure” and charted the course for the both sides. In order to better implement the spirit of the meeting, Yan Hao acted as the head of cooperative projects leaders’ team. In December 12th, united commanding department was established in Xi’an to incorporate all subsidiary companies and push the grounding of cooperative projects. On January 18th 2019, CPCG and Xi’an economic and technological development zone signed the agreement successfully and unveiled the nameplate. CPCG will designated Silk Road International HQ as the commanding center and radiating to middle and west Asia and CEE countries. The group is committed to the infrastructure investment and construction of all countries alongside the Belt and Road Initiative. The North-west Construction of CPCG will mainly in charge of Shaanxi Province, Gansu Province, Ningxia, Qinghai Province and Inner Mongolia. As the forerunner of Chinese enterprises’ “going global”, CPCG established long-term communications mechanism with hundreds of countries and regions alongside the Belt and Road Initiative by a global vision. The resources endowment, demographic dividend and market potential of all countries and regions could connect the advantages of “resources, wisdom and capital” to innovate investment and cooperation. As the “most responsible Chinese City Operator”, CPCG establishes and consolidates the sustainable idea, transits from the constructor of infrastructure to the participant of all countries. We will practice green construction idea and observe the CSR. In Southeast Asia, CPCG takes China-ASEAN EXPO as the bond and “going out” as the opportunity to push the cooperation with 10 ASEAN countries. In Mid and West Asia, the cooperative projects between CPCG and Kazakhstan, Kyrgyzstan, Uzbekistan are pushed in a smooth way. The group signed strategic cooperative agreement with Saudi Arabia. In CEE countries, under the bases of signing 3 billion euros with Albania and Montenegro, CPCG is actively connecting with Bulgaria, Serbia and Georgia. 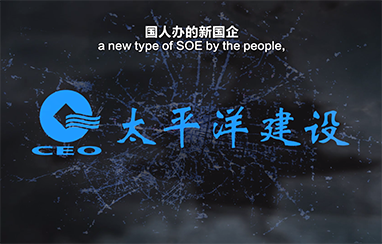 The cooperation with an SOE ushered an example for cross boundary and cross-system cooperation. The line 4 metro project in Kiev, Ukraine is an example. In Africa, CPCG has established long-term negotiation mechanism with South Africa, Botswana and Zimbabwe. Deep exchanges and discussions were held for the $5 billion international airport, highways and railways. As the Belt and Road Initiative deepens, CPCG has a greater influence globally. In the past year, the founder of CPCG Yan Jiehe and Chairman of the Board of CPCG Yan Hao were invited to carry out cooperation with the Prime Minister of Cambodia Hun Sen, the Premier of Vietnam Nguyen Xuan Phuc, the Vice President of Myanmar Myint Swe and the First Deputy Premier of Ukraine Kubiv. Besides, Yan Jiehe and Yan Hao were invited to attend APEC Leaders’ Summit, Boao Forum for Asia, Davos Forum, FOCAC, China-ASEAN Expo, Fortune Global Forum, China-Singapore Economic, Trade and Investment Forum, China Tibet Tourism and Culture Expo, World Xi’an Entrepreneurs Conference and a host of influential international activities. In the FOCAC Beijing Summit, Yan Hao has become the only entrepreneur from private construction enterprise to discuss with famous representatives and entrepreneurs both home and abroad. They conducted exchanges deeply in China-Africa infrastructure cooperation and sustainability. During the 15th China-ASEAN EXPO, the core team of CPCG attended the opening ceremony and high-level dialogues and introduction fair and met with leaders from all countries intensively. CPCG has created the template with its features in its internationalization. This has not only output the resources and capitals but the Chinese wisdom. Thanks to the national strategy, CPCG develops rapidly. No matter PPP mode for targeted poverty alleviation or practicing the Belt and Road Initiative, CPCG never forgets patriotism as a private group. With the craftsmanship spirit of “wisdom, consciousness, bitterness and hardships”, CPCG has engaged in the investment, construction and management of more than 3000 parks in over 1000 cities and counties. This will boost the local socio-economic develops rapidly and achieve poverty alleviation. In order to follow the call of “poverty alleviation”, CPCG participates in the “13th Five-Year-Plan” for poverty alleviation and increases the investment in poor area. The group works with local government and incorporates the social responsibility and coordinative ability from government and private capitals, managerial efficiency from private enterprises. The construction poverty alleviation, industrial poverty alleviation and educational poverty alleviation were set up in dozens of poor areas. In some national key poverty alleviation areas like Xinjiang, Guangxi, Shaanxi, Hunan and Guizhou, CPCG resolves the urgent projects for all governments and delivers the benefits to the local people in maximum. With the “Huatuo Individuality Scholarship” as the carrier, the group promotes the educational development in poor areas. At the same time, CPCG has also been actively engaged in the local social development and won the social reputation. One company must create excellent reputation if it wants to become competitive and seeks for long-term profits. In 2018, CPCG received more than 250 letters of thanks and letter of recommendation, more than 100 awards. The reputation featuring “wisdom and consciousness” bring high fame and reputation for the group. In 2018, Yan Jiehe was designated as the Vice Chairman of CAPAD; Yan Hao was designated as the Vice Chairman of China Private-owned Business Association. Yan Hao said the development of a company is nothing but reputation. CPCG will stick to the craftsmanship of “wisdom, conscientiousness, bitterness and hardships”. In the process of creating time-honored brand, the group will build each project a conscientious project which can be passed down from generation to generation. CPCG is a private group accompanied the reform and opening up policy. In 1992, the founder of CPCG, Yan Jiehe started from 3 culverts in Nanjing Ring Road. Faced with project which will lose 50,000 yuan, he led the team finish the 140-days-work amount within 70 days. Eventually, the company lost 80,000 yuan and passed all the indicators. The commanding department was touched by the move and handed over another 50 million yuan supporting program to Yan Jiehe. The group thus made the first bucket of gold. In 1996, as the reform and opening up deepens gradually, Suqian city in Jiangsu Province need a main road for the city. Due to the limited budget, the 50-million-yuan road should be designed and constructed by the bidder, and delivered the same year. As the Shifu Avenue put into operation, a new city emerged. More than 20 years have passed, the road is still intact without any cracks. CPCG will stay true to its original mission and stick to hard work. In recent years, CPCG relied on mature infrastructure investment, construction and management experience to explore the diversified industrial layout and financial support. The “integration among industry, scenery and people” modern service model has been piloted and promoted. From multiple cases, CPCG is excelled at integrating different resources features, historic conditions and economic situations with local demands. The unique and customized cooperative model for local will be arranged. In tourist cities, the group will create scenery avenues to uproot the bottlenecks. In green industry-oriented cities, the group will create ecological industry demonstration zone and recycling economies. In historical cities, the group will create cultural and tourist towns and towns with unique features to further protect the history and culture. In some cities with harsh natural conditions, the group will provide the sweeping service for infrastructure “construction and maintenance integration” so as to address the worries of local people. Yan Hao said: “the reason why CPCG could work wonders is we adhere to the craftsmanship spirit. The revere and persistent spirit are the bases of CPCG’s growth and maturity”.